EJIL: Talk! – Book Discussion on Djemila Carron’s “L’acte déclencheur d’un conflit armé international”. Home Announcements and Events Book Discussion on Djemila Carron’s “L’acte déclencheur d’un conflit armé international”. Book Discussion on Djemila Carron’s “L’acte déclencheur d’un conflit armé international”. The blog is happy to announce that over the next few days we will host a discussion on Djemila Carron’s book, “L’acte déclencheur d’un conflit armé international“. 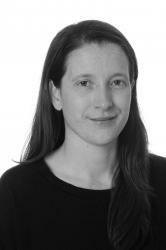 Djemila Carron is a lecturer at the Law Clinic on the rights of vulnerable people at the University of Geneva. She will kick off the discussion this afternoon with an introductory post about her book. Comments by Julia Grignon (Professor of the Faculty of Law at Laval University (Quebec)) and Dr. Tristan Ferraro (Senior Legal Advisor at the ICRC (HQ Geneva)) will follow. Djemila will then bring the discussion to a close with a response to the comments. We are grateful to all of the participants for agreeing to have this discussion here. Readers are invited to join in – comments will of course be open on all posts.